The Rock’s arms are very large, partly due to the fact that he’s generally a big dude—but his biceps have boulder-like peaks because of all the smart work he puts in whenever he hits the gym for an arm day session. 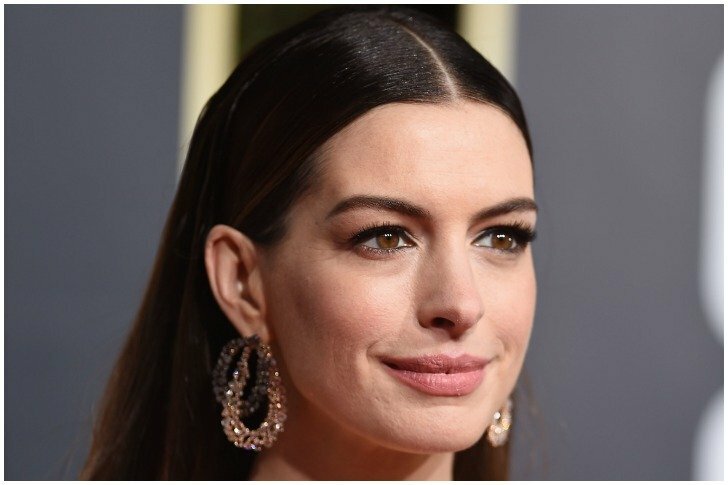 The actor also known as Dwayne Johnson posted a video to Instagram of his latest bicep curl regimen from his gym in Hawaii, in which he drips sweat and is visibly strained as he grunts through the reps.
He’s working through sets of concentration curls, a variant of the exercise that really emphasizes biceps isolation. Rather than performing the move seated on a bench with his working arm braced against his knee, however, Johnson opts for a bent-over stance. The bent-over position might actually serve some people better than seated—if you can control the weight. Notice how Johnson’s working arm doesn’t swing, and how he pauses for a full squeeze through the top of each rep. He’s likely concentrating on each rep individually, using an internal focus to stimulate the muscle as much as possible. Men’s Health fitness director Ebenezer Samuel, C.S.C.S., agrees. 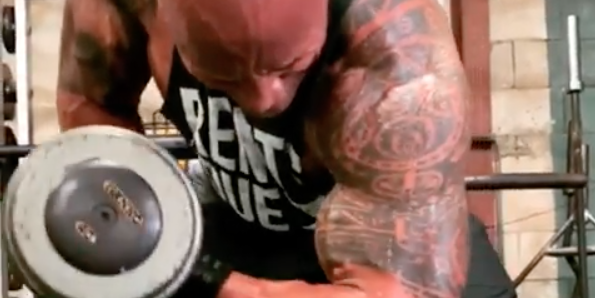 “This may not be the classic concentration curl you’re familiar with, but it has the spirit of the perfect concentration curl: The angle of the Rock’s torso forces him to keep his upper arm perpendicular to the ground, meaning he can’t use any momentum on the curl and he gets to really squeeze his biceps with every rep,” he says. If you want to take on The Rock’s bent-over concentration curl, drop down a few pounds from your standard biceps curl weight (notice how the man himself is only using 40 pounds) and make sure that you avoid rounding your back and keep a strong spinal position when you bend down. Start with 3 sets of 10 reps for each arm, and don’t rush. Johnson must be prepping for a new role that asks even more of his massive guns, as he also recently showed off footage of an old standard, the 21s workout. If you’re worried that he’s been skipping leg day amidst all this bicep action, don’t fret—his strength coach Dave Rienzi walked us through his killer lower body circuit, too.